The grand department store is an iconic department store in town with fancy decorations and eye-catching engravings. 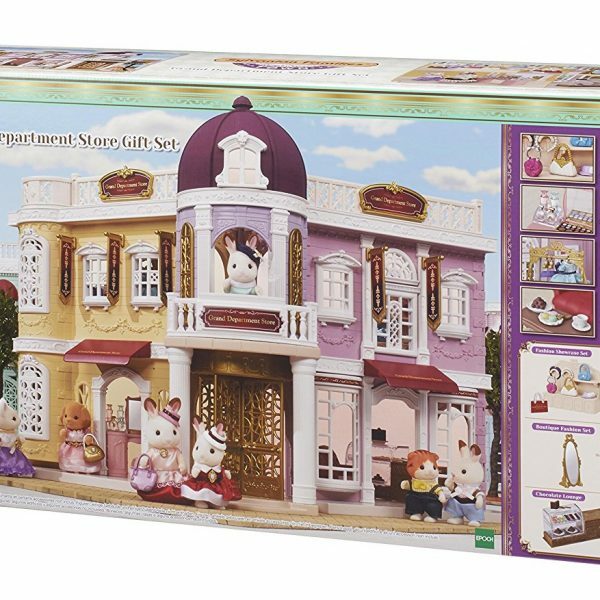 The set comes with a two-storey department store building and an entrance tower; there’s also a lookout balcony, ideal for spotting your friends from. 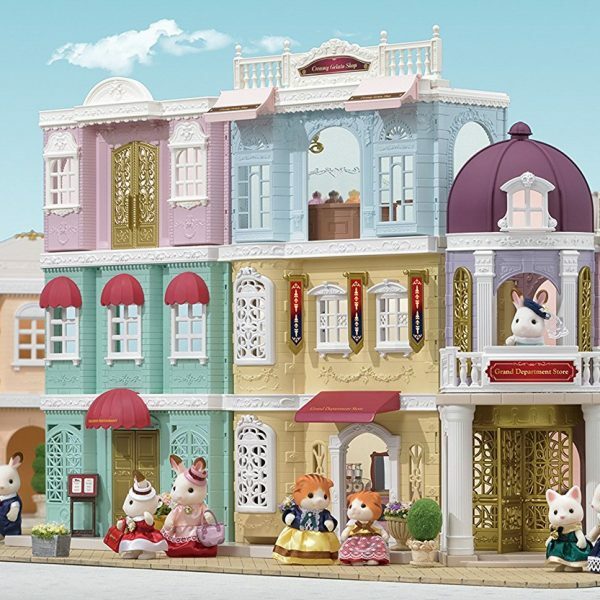 You can decorate the various shops with the sets included, like the boutique fashion set, cosmetic beauty set, fashion showcase set, chocolate lounge, and the town girl series – chocolate rabbit. 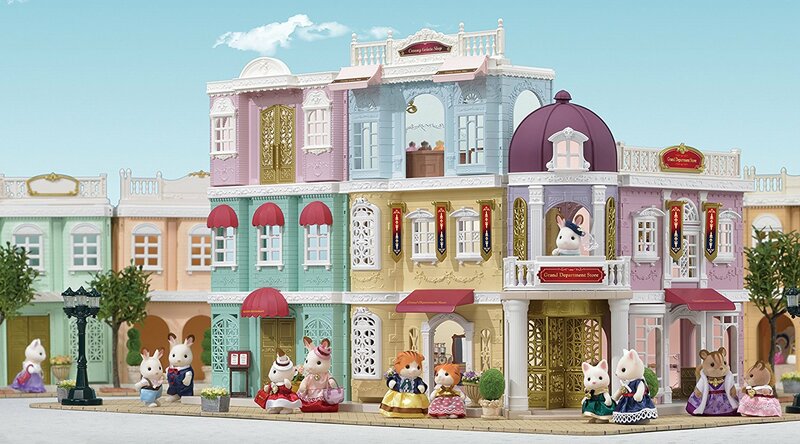 The main building has a manual lift that can carry figures to the upper storey if their legs are tired and the windows are detachable and can be replaced with the windows from other town series items. 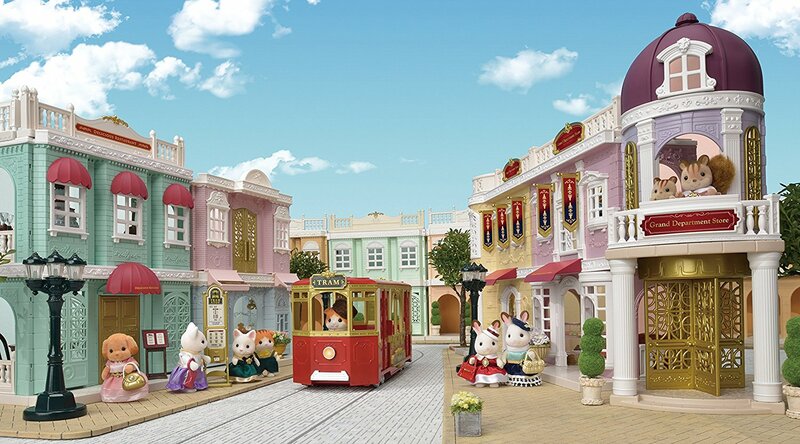 You can open and close the main building to enjoy different layouts or combine the grand department store with other buildings in the town series. This refined building has beautiful designs and is covered with fancy decorations and engravings in many places. You can open it to 90 degrees, 180 degrees or close it completely. It also comes with a manual elevator. 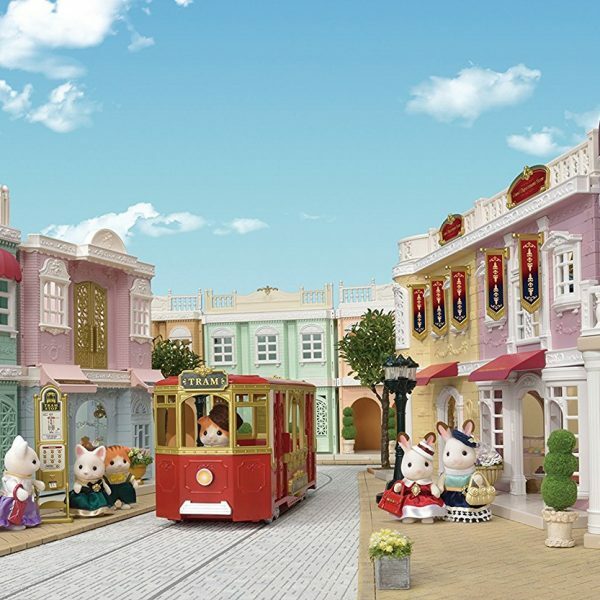 You can also customise the department store to your liking using accessories such as the entrance tower with a revolving door, balcony, floor, or aisle to make your own layout! 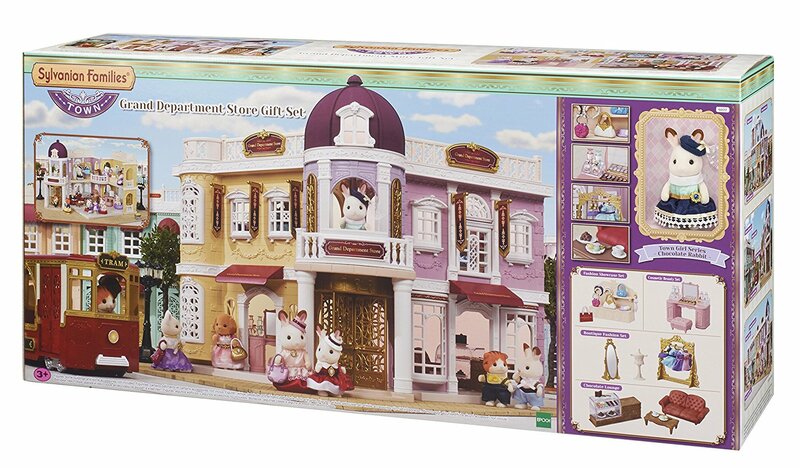 In addition the gift set also includes the Chocolate Rabbit older sister and four lovely department stores you can play with right away.